The public are comfortable with Harry Redknapp. His rumpled, down-to-earth persona harks back to a bygone era before football became a commercial monster, evoking soft fuzzy Sunday evening television images of a time when society was less complicated and life was better. With Harry, like him or not, you know where you are. At Spurs, however, he’s continually surprised. In this digital age when nothing is secret and everyone with a mobile phone and a Twitter account is a reporter, nothing shocks any more. Yet Redknapp’s appointment came out of the blue. A late-night messageboard post was shared then shredded with derision. The following morning, it happened. The manner of his possible departure was similarly utterly unpredictable. The mixture of gratitude and relief amongst Tottenham fans at the announcement of his acquittal turned in a few short hours to horror at the prospect of his leaving for the England job. when he is closer to the club and the supporters than ever before. My piece on the Wigan game focussed on this new-found intimacy. Adversity softened a relationship characterised by respect mingled with slight scepticism – I know a season-ticket holder who is refusing to go while Redknapp remains manager. Back to the wall, Redknapp’s sudden vulnerability overcame suspicions that despite his achievements on the pitch, his heart lay elsewhere. He is one of us and needed some help. It was not the flowing football, the Champions League or the top three that broke the ice. The taxman played matchmaker. For the very first time there was sustained chanting of his name. Harry has seen and done it all but he’s not been here before. I said at the time that he deeply appreciated this gesture, which he confirmed yesterday on the steps of the court. He genuinely meant it, a hard man touched to the core, although he stopped himself as he was about to say that this was the best fan gratitude he’s ever had for fear of offending his admirers in Portsmouth and West Ham. There can be no clearer way of expressing both our gratitude for what he’s done for Tottenham Hotspur and our desires for the future. However, even though the songs will no doubt rise to a crescendo come Saturday evening, they will be drowned out by the nationwide clamour of ‘Redknapp for England’. I heard the news yesterday evening when my wife texted as I travelled home from London on the train. When I reached the car and switched on the radio, ‘Redknapp’ was the first word that I heard and judging by the procession of pundits lined up on 5 Live, that may as well have been the only word broadcast over the next hour. Pearce and Hodgson were the only two alternatives even mentioned and that was in passing, solely for the purpose of discounting their credentials. I turn on the radio this morning, it’s not who or if but when. Seldom has there been such unanimity in the fractured, tribal world of football. Not only an Englishman for England, he’s worshipped by the media. Harry the turnip-head? It won’t happen. For what it’s worth, I would prefer an Englishman but not at the expense of quality. There are few if any managers with the experience and proven talent to take the job and even Redknapp never managed at the highest levels until the last 18 months. Prioritising a birth certificate over ability is a recipe for disaster. Capello was unfairly treated by many sections of the media and public just because of what he wasn’t. However, I have no respect for him over his decision to back a captain accused of racism and put his own position above the needs of the country. For once the FA acted decisively and they were right to do so. I wholeheartedly support the ban but the FA made a rod for their own back by not banning him from the squad as well. I understand that Capello wants to be in charge – as a manager in a very different field, a charity, I do not expect my decisions to be over-ruled by our Trustees. However, I take into account the position of my seniors before I make my choices and Capello is foolish not to have done the same. Even if he weren’t consulted, he could have waited before committing himself in public. Blind to the wider context, England was set for him to take us to the Euros whether we liked him or not and pulling out now because his personal pride has been affronted discounts his responsibility to the nation. He’s put himself first. Terry is a tarnished figure. No one cares about him aside from Chelsea fans and Capello, who should have shown better judgement in his choice of captain. Innocent until proven guilty has got nothing to do with it. There’s enough evidence even for the notoriously cautious CPS to charge him and any of us in the same boat would have been suspended from our jobs, regardless of that principle. If you’re going to choose someone with whom you wish to make a stand, have better judgement than to opt for a man who’s pursued a team-mate’s wife and stands accused of racism. Ignore it, do what your bosses say, keep quiet, support the man but don’t make him captain, an. y option would have been preferable and more obvious than the one Capello chose. Let’s not forget who the real villains are. Chelsea’s justification for a postponement of the final hearing, that key witnesses would not be available until after the season ends, is ludicrous, motivated entirely by self-interest. The need for Chelsea Football Club to play their captain comes before all else. Spurs should do everything to keep Redknapp at the Lane but will be under intolerable pressure to let him do his duty. The FA have to shortlist but undoubtedly they sound out potential candidates first. Surely they will speak to Harry. 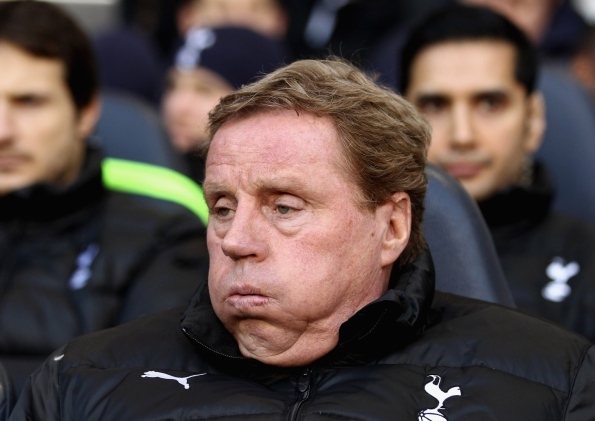 For his part, Redknapp will feel as if he’s between a rock and a hard place. He’s made no secret of his pride in being able to manage England should the opportunity arise and will find it hard to resist the bandwagon. He’s been equally excited and privileged at the prospect of leading a team into the Champions League and tilting at the title. To repeat, this is new territory for him and at his age he won’t ever look after a club side as good as this one. Any lingering doubts he had about his place in the hearts as well as the minds of the fans were dispelled a week last Tuesday. Whatever his faults and dodgy ‘arry the wide boy has many, he’s a proper football man. Success on the field and a place in a club’s heritage means an awful lot. The FA will pull out all the stops to get their man. If they don’t, their reputation in the eyes of the public will be irrevocably tainted. I feel a fudge coming on – Pearce in charge until the summer, then Harry takes over. I’m not keen – I want Harry to be totally focussed on Tottenham, and of course this means he’ll leave us in the end. Another option could be to wait. They say you get only one chance at the England job. However, history shows it often doesn’t work out and the pressure is such that I don’t blame managers if they don’t want to hang about too long. Even at his age, it could come up again in the next 3 or 4 years. A gamble but then H likes a flutter. None of this would be possible without Daniel Levy’s permission. Once again our future lies in the hands of our inscrutable chairman. He’ll take his time – quite right. Pressure will be brought to bear but he has broad shoulders that belie his slight frame. He’s always put the interests of the club first in the past. Say no Daniel and see what happens. Who knows, maybe we’ll be singing your name sometime soon. My suspicions is the Capello wanted to get out from under what will be the usual debacle of England on the big stage, since I find it hard to understand that anyone would take such a stand over Terry, surely well past his best days, if there was not an ulterior motive. As to Harry, I think that if he is shrewd he would not touch the position with a bargepole. He has done a great job at Spurs, and although I am sure most supporters disagree with some of his decisions at times, he has great support at all levels of the club. If he takes the England job he can only go downhill because the simple truth is that there is not, apart from a couple of players, world class English talent available. Capello had nothing to keep him in England. This was win-win for him – if the FA gave in, he has the total control he wants, if they hold firm, as they did, he walks away forfeiting only a few months of his lucrative contract. 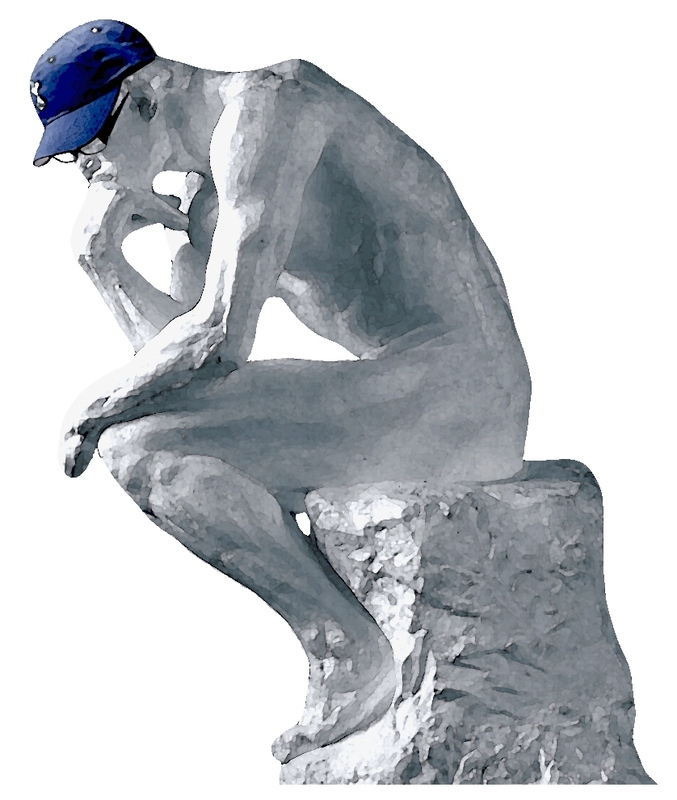 Even though I wrote most of the piece early this morning, the bandwagon has gathered pace afresh. I can’t see how he can resist, even if he wants to. if he says no, he’ll be accused of letting the nation down. That’s worse than failing to motivate a lacklustre bunch of footballers. For many years the England job seems to have been something of a poisoned chalice and the undoing of several managers formerly well-respected at club level. If ‘Arry had a year or two in advance of the next big competition to build a rapport with a squad of his own choosing, it might be a different story. But with just a few months until Euro 2012, this is not the time to take the job. Capello has left a dire inheritance. The disharmony and fissures caused by the Terry affair and the machinations that are in progress behind him, coupled with the apparent paucity of talent and belief displayed by the current England outfit mean that, at best, he would be working with someone else’s left overs and insufficient time to whip the team and squad into shape. Whether in his late-sixties he’ll still be seen as the potential saviour remains to be seen. But I believe now is really not the time to take the job if he wants to be remembered as a great football manager. He’s far better off where he is for a year or two at least. You are correct about the FA they are a shambles and remember they re-appointed Capello before the farce of the last World Cup was finished. It clearly was a systemic problem that resulted in ALL of the English squad, not just one or two, being below par in that tournament and that must rest on the management of the team. As to Terry he is no great loss either as captain or player. Putting the racist issue to one side, after all he deserves his day in court, he simply is not good enough anymore to either be in the squad or to captain it. Good stuff as always Alan. 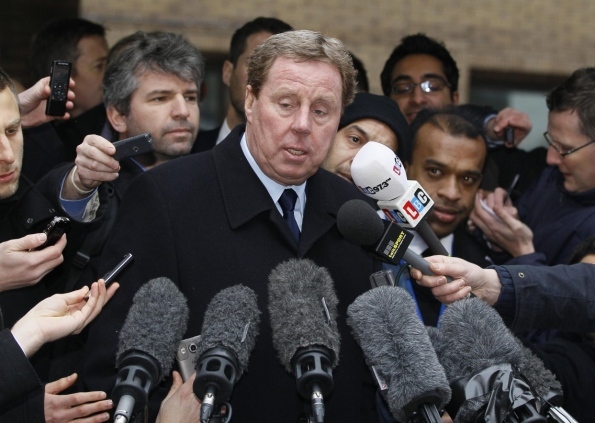 ‘Arry might not know how to email, text or send a fax but he is a master manipulator of the media. He could reprise his “two points in eight games” schtick and get us to the semis and be a national hero. On the other hand he is no-ones fool and he could resist for a bit (with Levy cast as the villian of the piece) to take the job after the Euros. The reality is Levy has has plenty of time to think about Plan B and I can’t imagine he hasn’t got something up his sleeve. My guess? Levy will resist a enough to get significant compensation so that we can bring in his replacement on a fat wedge. 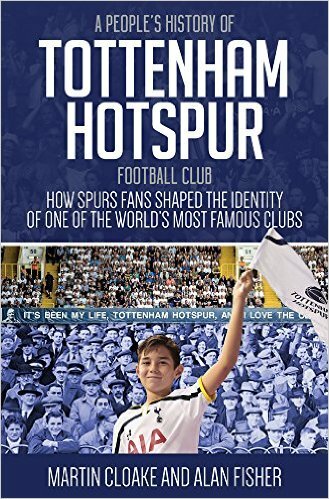 The Rednapp legacy will be a much higher European profile for Spurs and probably a Champion League place. Enough to entice a special one….or two. Levy’s been asking around, I’m convinced of it. Even without this, Redknapp was odds on for England and Levy likes a contingency plan. And fact is, the right man could pick up where Harry left off if the key players stay in the summer. Personally I would be uncomfortable with the special one – because I would find it hard to get over my personal dislike him, his associations with Chelsea and the feeling that he could, through his antics, bring down the name of the club as he has at Madrid. Though on the other hand he would be able to help us hold on to big names like Bale and Modric…and possibly a tilt at the title? It’s a tricky one though ultimately, I’m not sure it would be a runner as I think he would be much more likely to go to a club with big money to spend and high wages to attract players. Whatever happens afterwards, let’s continue to enjoy this magnificent season — “Now is the winter of our discontent/Made glorious summer by this sun of (Poplar, London)!” ‘Arry that is and this glorious team he and Levy have unleashed upon the Premiership!